‘Pour l’amour de Dieu’, the Good Doctor sympathised as he gingerly opened the Surgery’s front door, ‘come inside and warm yourself before you freeze your assets’. ‘Don’t mind if I do’, replied Otis pausing from his musical méandre, ‘Get that kettle on. Mine’s a Julie Andrews’. ‘Now what was that tune you were whistling my good fellow?’, enquired the Good Doctor as he dunked his finest Sainsbury’s shortcake biscuit. ‘It’s Au Clair de la Lune and you’ll find it on page 27′, replied Otis, a small pool of melting snow pudling around his boots. The Good Doctor flipped open the manual, took one glance and cried out, ‘Génie!’. ‘Have you run out of biscuits?’, Otis asked, looking slightly puzzled. He was confusing the Good Doctor’s gallic outburst with the Saturday girl at the supermarket cake counter. ‘No my dear fellow’, replied the Doctor, grinning broadly, ‘You’ve just found the solution to 12th position’. Otis was none the wiser. Twelfth position has become popular in recent years as ‘the alternative first position’ or ‘flattened first’ on the 10 hole diatonic. It enables us, for example, to play in F major on a C harmonica, using 5D as our root note (or the full bend in hole 2). And for this reason, at least in theory, it offers an accessible alternative position for diatonic playing, just like 2nd, 3rd, 4th and 5th. But as much as the Good Doctor enjoys a bit of theory, you will know by now that he also likes practical examples. And just as Scarborough Fair is a great blueprint for 3rd position, and When Johnny Comes Marching Home does the same for 4th position, the obvious contender for demonstrating 12th position had remained spectacularly elusive. 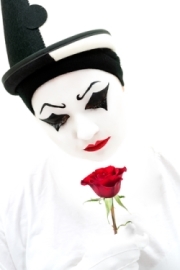 Now here it was staring him in the visage – Au Clair de la Lune. 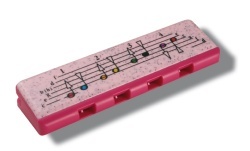 Now, imagine you were playing a four hole harmonica (holes 4 to 7 on a 10 hole diatonic). 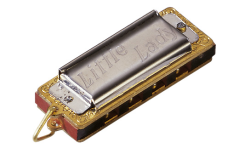 You might ask, ‘why would I want to do that – the Hohner Little Lady is just a toy, isn’t it?’. 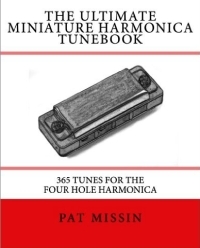 Well, when the Doctor teaches harmonica to the children of the village, they start on just four holes, using Hohner Speedy harmonicas ; there are an almost infinite number of melodies that can be enjoyed using four blow and four draw notes. 12th position gives us an alternative major position, perhaps more jazzy than bluesy, but useful nonetheless. And like third position, the six draw bend can give us a bucket load of extra expression. Think Isn’t She Lovely by Stevie Wonder. Please note however, there are two holes to avoid when playing in 12th positon, namely 3D and 7D. Using a C harp as our example, this is because the note of B is not a part of the F major scale. We can bend the 3D to 3D’ to achieve a Bb, the major seventh in the F scale, but 7D doesn’t offer a bending option. So what else can we do with 12th position? At this point it is worth spending some time with the late, great, Chris Michalek, who recorded two great videos about 12th position for YouTube: Part 1 and Part 2. He uses the tune to Happy Birthday as an example of how 12th position can do the job better than 2nd position, because it avoids the nasty bends in 3D that can sound so unconvincing. Otis the Postman is still a bit mystified by it all, so he’s gone to feed the ducks. We can hear him whistling the Skye Boat Song in Lydian Mode from the Surgery’s teatable, bless him. Ooh, get him! It’s yer actual French!